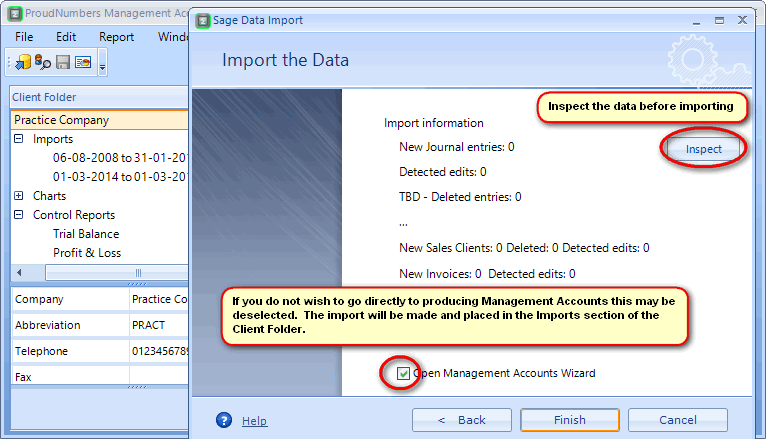 Data is imported from Sage via the import wizard. The wizard will remind you of what you need in place for a successful import. 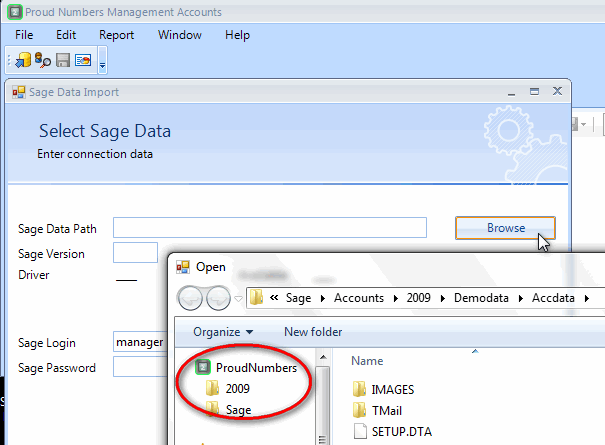 As shown below, after selecting Browse, the Sage files for import can be found via the Proud Numbers icon in the 'Open' window. 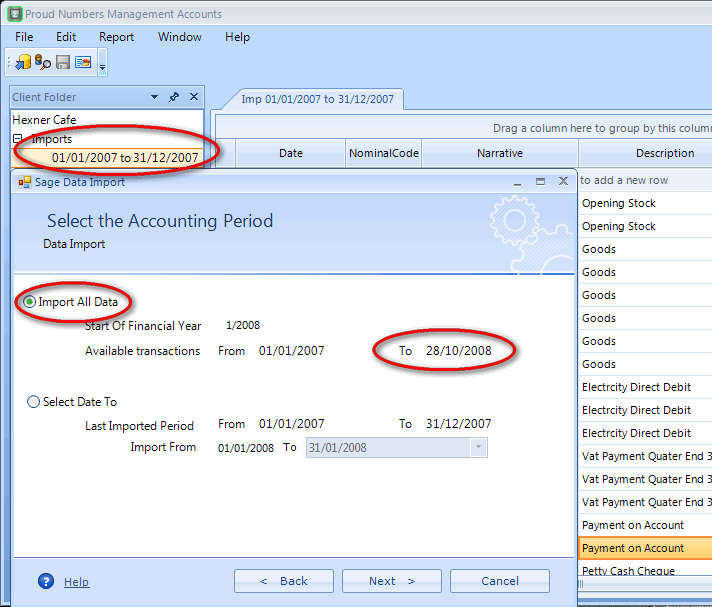 The import function will default to Import All Data, selecting all the data available. 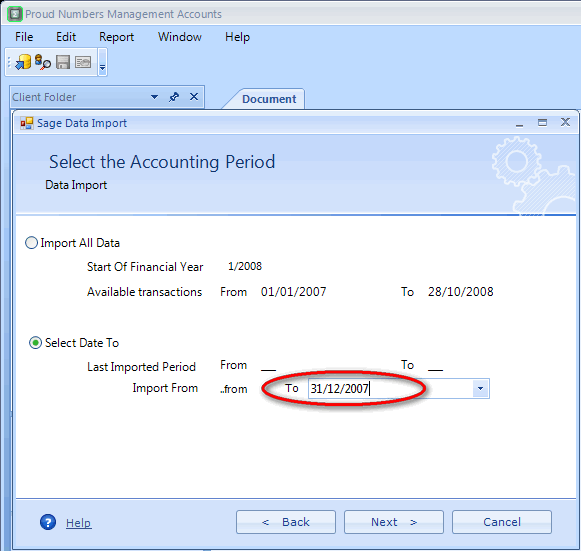 New data and edits will be picked up each time you upload data from Sage. Portions of data are available contiguously through Select to date. Always enter the dates using the keyboard 'Return/Enter' key. 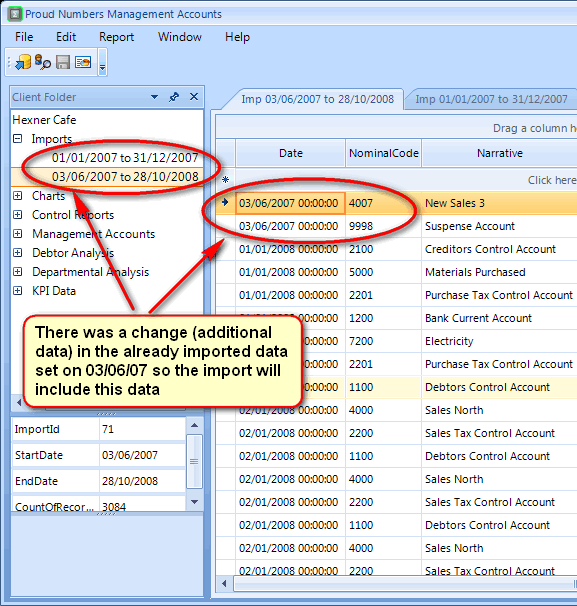 The Wizard will give you an opportunity to INSPECT the data before completing the import. The Wizard will then take you into Management Accounts wizard unless this is deselected.